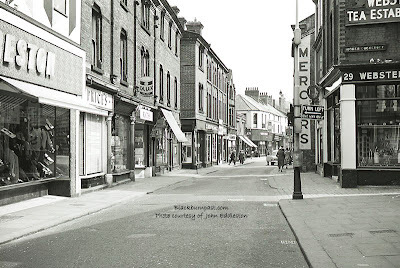 Two shots of the same stretch of Northgate, the section between Lord St West / Lord St and New Market St / Blakey Moor. One looking north and the other looking south. 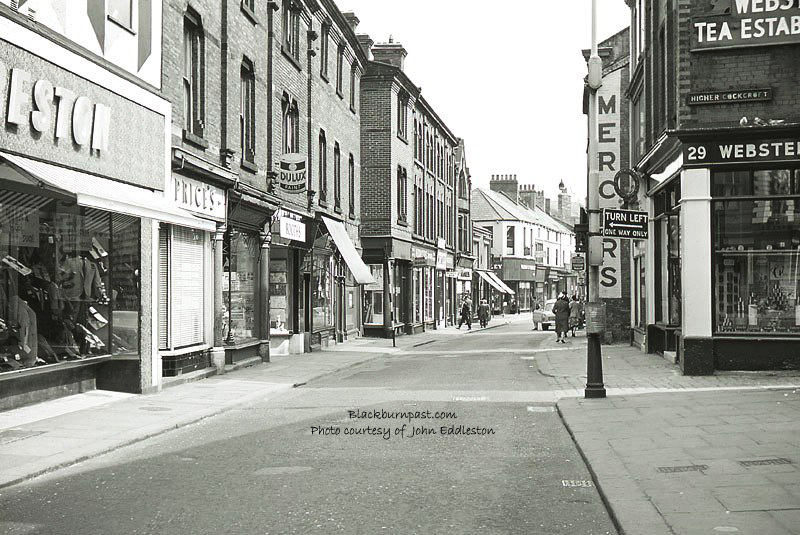 There have been many shops and businesses along here over the decades, over a couple of centuries I suppose, but probably the best remembered from the 20th century and into the 21st, has to be Mercers. Though best known as an ironmongers, they sold much more besides. A great shop, over two floors, where you could browse for hours. The name is still carried on, by the toy shop now on Darwen St. 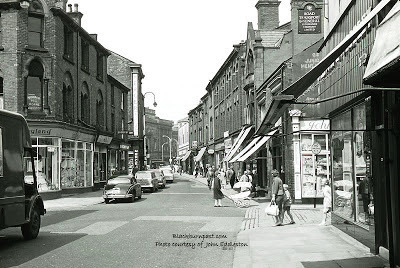 I remember Johnny Forbes outfitters on Northgate - a fabulous shop selling sportswear and equipment and upstairs they sold childrens and ladies fashions. It was indeed a great shop. If you type Johnny Forbes into the search in the top left corner, it should take you to another photo, which shows a bit more of his shop. Thanks Andrew, I'll check it out sometime, if my computer ever starts behaving itself again.